Surrounded by olive groves and the vineyards of Chianti, Siena is one of the most beautiful cities of Tuscany. Set on three hills, the city is drawn together by winding alleyways and steep steps, whilst the Piazza del Campo stands at its heart, and the Duomo and St Maria della Scala serve as additional cultural landmarks. Famed for the "Palio", the annual historic horse-races that take place on 2 July and 16 August, it is also home to one of the oldest Universities in Europe, which ensures a vibrant Italian student atmosphere throughout the academic year. 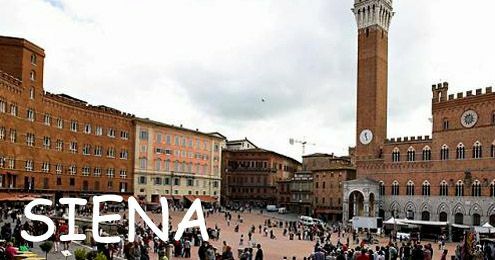 In addition to the bustling daily life of the streets and squares of the city, Siena offers many cultural events, concerts, cinema, theatre and a wide range of sporting activities. 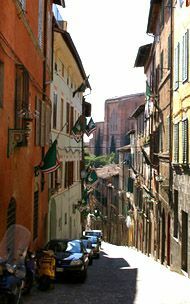 Few geographical areas in the world can boast of the variety of environment that surrounds Siena. To the north, we have the richness of the Chianti landscape, woven with vines and olive-trees throughout the hills. Here also are beautiful towns like San Gimignano and Monteriggioni with old walls, winding streets and incredible views. South of Siena, the Arbia valley leads to the hill-top town of Montalcino, home to the famous Brunello wine. And the area La Crete stretches out, amazing visitors with its harsh rock formations and unique landscape. Westwards we head towards the coast, to captivitating coastline towns like Castiglione della Pescaia, and nature reserves like the area called Maremma. With such natural beauty within easy reach by car or public transport, Siena is a good place to base yourself for a Tuscan experience. The Chianti area, between Florence and Siena, is one of the most beautiful countrysides in Italy and a famous wine production area. 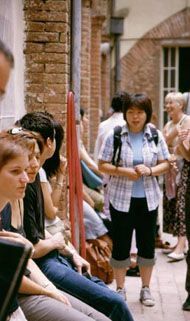 Our Italian language immersion vacation allows you plenty of time to discover Tuscany & Siena. Learn Italian in the bustling medieval city of Siena,enjoy a truely Italian immersion holiday in this city of Gothic palaces and style. This picturesque well-preserved medieval town lies in the right in the middle of the Tuscany wine region, just 55 kilometres south of Florence. 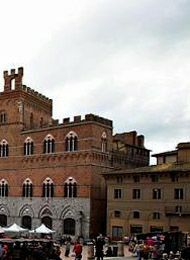 :: Arrive independently into Siena. Located in the heart of this charming medieval city our school building is typical of the architecture, decorated in pastel colors with a large courtyard. The area around the school boasts many beautiful architectural and historical sights and is close to most facilities. Enjoy social & cultural outings during the week with other students from the school. Enjoy Italian movie nights, lectures on various aspects of Sienese / Italian culture (for example, the history of Siena and the Palio, Italian Opera, music, politics, fashion etc.). 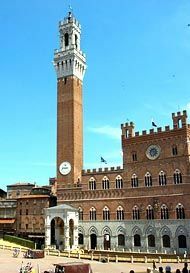 Weekend excursions could include: Battistero di S.Giovanni, Museo Bologna Buonsignori, Museo dell'Opera Metropolitana, Palazzo Chigi Saracini, Torre del Mangia, weekly street market, Tour of Siena on Horseback, trekking in Siena, walking to explore art and scenery. 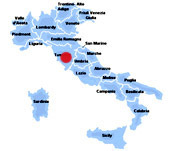 The Ampugnano airport is located 9 km from Siena. At the moment, connections from Olbia, Vienna and Munich (Bavaria) are available. You can also take the train from Florence.